I read this article and found it very interesting, thought it might be something for you. 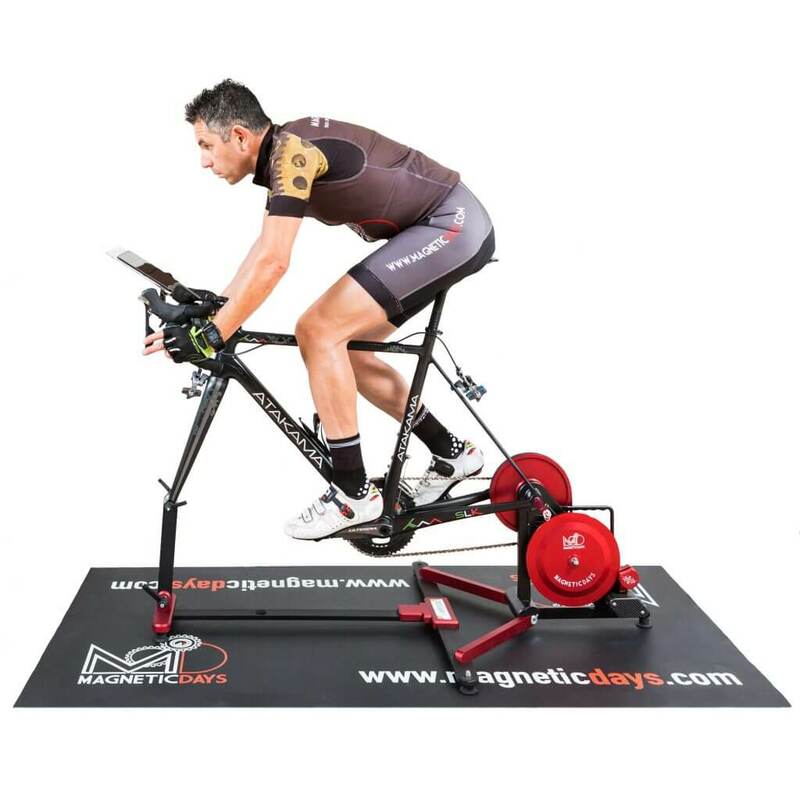 The article is called MagneticDays: Jarvis smart trainer & HTT Methodology and is located at https://www.magneticdays.com/en/jarvis-smart-trainer-htt-methodology/. 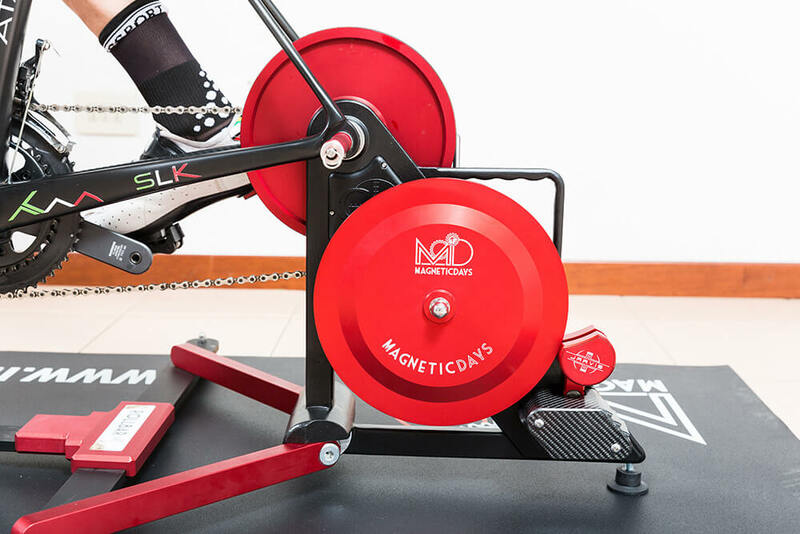 MagneticDays is the brand 100% Made in Tuscany born in 2012 in the world of indoor cycling, with the goal to create new innovative solutions in the field of athletic cycling equipments, going beyond the current concept of “smart trainer”. After 5 years of research and development, the first indoor cycling system with a scientific approach is born: JARVIS, more than a smart trainer. With its 4 premium plus (technology, craftsmanship Made in Tuscany, precision mechanics and research of the best raw materials) it represents a high quality and one-of-a-kind product able to “build” specific trainings for all people in every moment (depending on their needs), accompanying them step by step towards the complete physical and mental well-being as well as best cycling performance by high quality workouts. When our adventure started 5 years ago (the mission was to create the first indoor training system with a scientific approach where theory and practice could “talk together” to give the users an amazing experience), we were inspired by Iron Man, the legendary Marvel hero (performed by Robert Downey Jr. fill in Tony Stark’s shoes), controlled from an artificial intelligence named Jarvis, like Edwin Jarvis, the loyal household butler of the Stark family. Put the fantasy genre aside for a moment and focus on the reality, the world of “iron men” has always fascinated us, in the sport field escpecially. 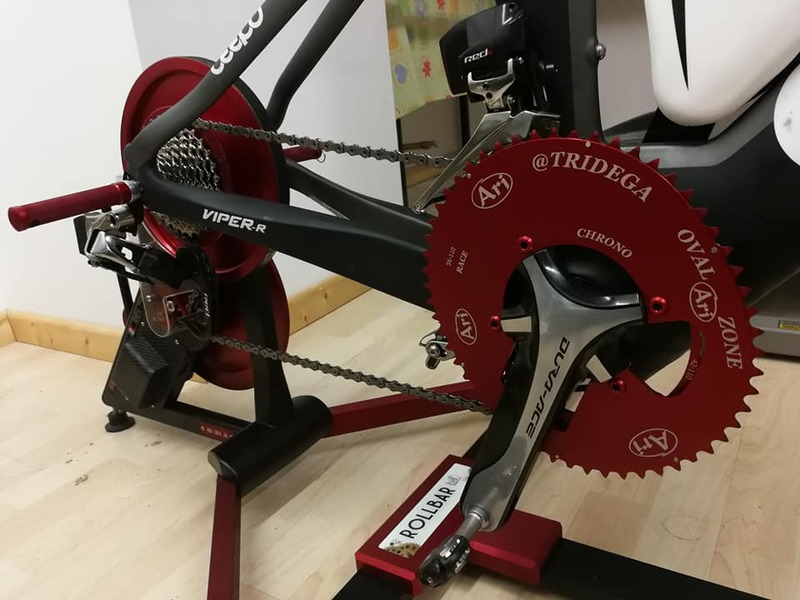 “Iron men” means IRONMAN and triathlon, the first sport where we have made known the 4 essential ingredients of our innovative indoor cycling system with a scientific approach: technology, craftsmanship made in Tuscany, precision mechanics and research of the best raw materials, with the goal to create a high quality and one-of-a-kind product able to “build” specific workouts in order to improve the performance of all the users/athletes. HTT Methodology represents the most scientific built training programs that are currently possible, going beyond the concept of Power (Watt) and distinguishing it from its 2 fundamental components: Force (Newton) and RPM (Revolution Per Minute). Through the control of Force and RPM, we can help each user/client to improve own physiological features with the goal to optimize wellness and performance. The hundreds of training programs are built as structures of Offset and Percentages. The physiological parameters (in real time) for each user/client are inserted in the System, so the software can develop the built training program and upload it in the list of workouts to be performed. There are different tools that are used during each workout: Auto Watt, Auto Newton, Watt Progression/Watt Regression, Newton or RPM, Ideal Rhythms, Joule Progression and more. Everything is based on a first briefing session with a MD Coach, where the user/client defines own goals. Second step is the start of evaluation of athletic training form in order to understand the real physiological parameters of the user/athlete. Third step is represented by the first 6 built training programs (duration: 60 minutes for each) that are different from each other. The last part of these programs includes additional parameters that allow to create next workouts. Generally, the last part of workout No 6 is represented by a test that allows to understand the efficacy of the previous workouts and their effects on physiological values of the athlete, giving informations (and new data) to MD Coach in order to write new built (and calibrated) training programs. And last but not least.. a new procedure for calibration by MagneticDays is born! This condition represent another added value of our brand. We actually use a National certified instrument and.. that’s not all! Inside each MD wood packaging you will find two certificates: one for the calibration (percentage error around 0.6) and one for the certified instrument! MagneticDays: Wellness and Amazing Perfomance!